Lighting Class LED Assemblies of all sizes! Is Your Solder Paste Process Really Important? Need an Experienced LED Assembly Partner? Check out the LED Production video below! The uses for LED surface mount devices (Solid State Lighting) have increased dramatically in recent years. This explosion of lighting-class LEDs has revolutionized the lighting industry, and it is Global Manufacturing Services’ fastest-growing manufacturing segment. We recognized the potential growth in lighting-class LEDs long ago, and we developed trusted relationships with some of the top LED lighting engineers in the world. These relationships have resulted in numerous opportunities to produce prototypes, assist in the evolution and development of the product, and produce the finished components modules, and sub-assemblies for these custom LED lighting products. 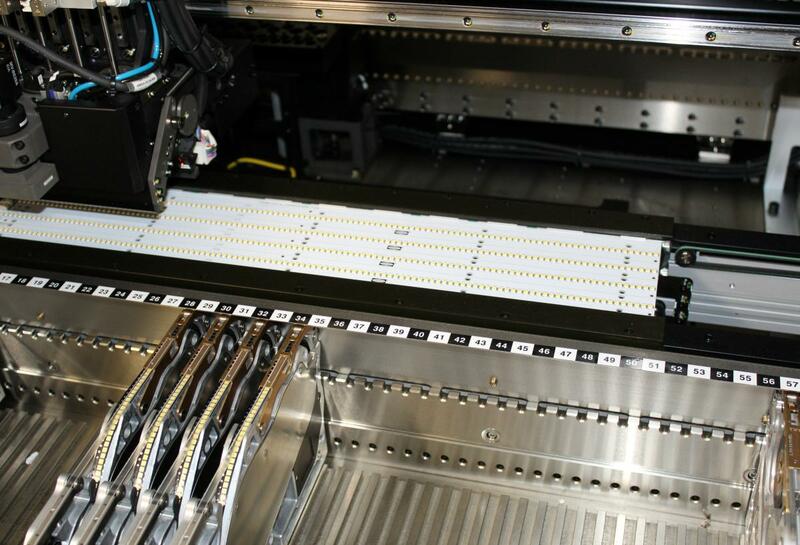 Our LED assembly technicians have extensive experience. Couple that with our high-speed surface mount technology and you get a recipe for efficient, high-quality LED Lighting products. We have produced light-class LED boards using nearly every surface mount LED device on the market, including major brands like Phillips’ Lumiled, Osram, and Cree. CONTACT US and let us apply our costs saving assembly techniques to your next LED project. Visit our REQUEST FOR QUOTE page for information. Copyright © 2019 Global Manufacturing Services, Inc. All rights reserved.